Twelve-year-old September lives in Omaha, Nebraska, where nothing exciting ever happens. Until the day the Green Wind shows up at her window with his flying Leopard and whisks her away to Fairyland. There she encounters all manner of things she could never have imagined, both marvelous and dangerous. When she takes on the task of retrieving a witch's stolen wooden spoon, it falls to September, a book-loving dragon, and an almost human boy named Saturday to vanquish a tyrannical Marquess and restore order to Fairyland. But this adventure won't just threaten September's life. She might just lose her heart as well. 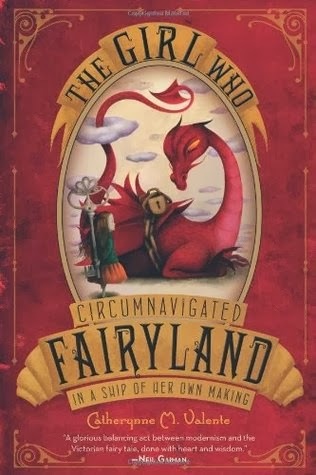 The Girl Who Circumnavigated Fairyland in a Ship of Her Own Making is quite possibly the most fun I've ever had telling people what book I'm reading. How so many words manage to roll off the tongue so beautifully, I'll never understand. How can I properly convey how wonderful this book is? There's so much to love! Just reading the cast of characters on the opening page is enough to tell you the story is going to be magical. (Witches, Wyverns, Spriggans, Numerous Velocipes...Do tell!) Reading this book is like being transported to a modern version of Alice's Wonderland. I found myself constantly amazed by the imagination of the author and the vast and varied cast she created inside the enchanting world of Fairyland. The narrator is perfection, stepping in at just the right moments with all the wit and poetic speech that is to be expected from the teller of such a tale. The writing is fantastic, the kind of stuff you'll find yourself constantly wishing you could fit into a tweet, in order to share the brilliance with the rest of the world. "Stories have a way of changing faces. They are unruly things, undisciplined, given to delinquency and the throwing of erasers. This is why we must close them up into thick, solid books, so they cannot get out and cause trouble." "It is true that novelists are shameless and obey no decent law, and they are not to be trusted on any account, but some Mysteries even they must honor." Most of all, I love that the author isn't afraid to mix humor with seriousness, the light hearted with a darker edge. I love the way that September, dear, brave girl, grows throughout the story. I came to many passages that, as I was reading them, seemed as if they were trying to teach me a very important lesson in some wonderful, mysterious way. The whole book is like that, wonderful and mysterious and enchanting. Including the ending of the second to last chapter that, just when I thought I had it all figured out, snuck up behind me and surprised me one last time before it disappeared and left me sitting there with my mouth hanging open. 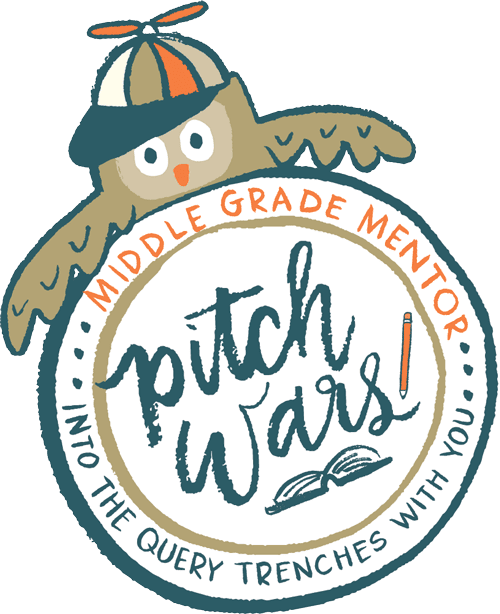 If you're at all interested in traveling to a fantastic world filled with fairies, lovable dragons, terrible Marquesses with very fine hats, and a bathhouse where you can wash your courage clean, I don't think you'll find a better book for the job. Then again, I am a novelist and not to be trusted. Perhaps you'll just have to make your own judgements.